Another day, another blizzard. The storm cleared out about 2 PM today, and once again the eagles had largely decided to take shelter elsewhere. There were harriers about but with all the photos I took of them yesterday it was time for a different challenge. 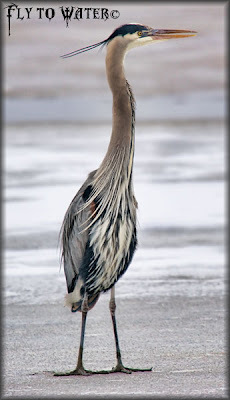 The Bay was deserted, and I thought it could be a good time to seek out a blue heron. 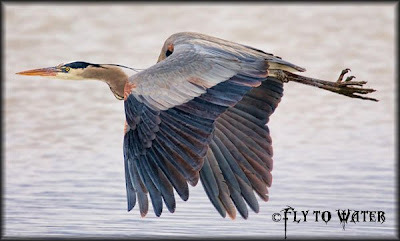 They have been very shy, avoiding all the crowds that have shown up to eagle watch. In full camo, I went out and hid myself near some open water where seagulls were actively fishing. 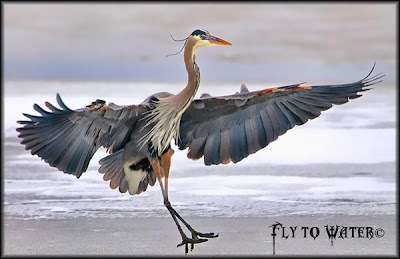 I didn't wait long at all until I saw the enormous wings of an inbound heron. The big blue didn't notice me, and in an event that has never happened to me before, it flew up and landed within 30 yards of my hide. 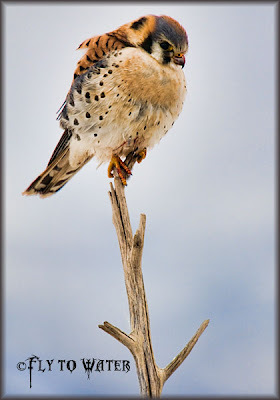 I also got one of the best shots of a kestrel that I've ever taken, sitting on a weathered branch after a meal. If you're out there when no one else wants to deal with the discomfort, sometimes you are rewarded.